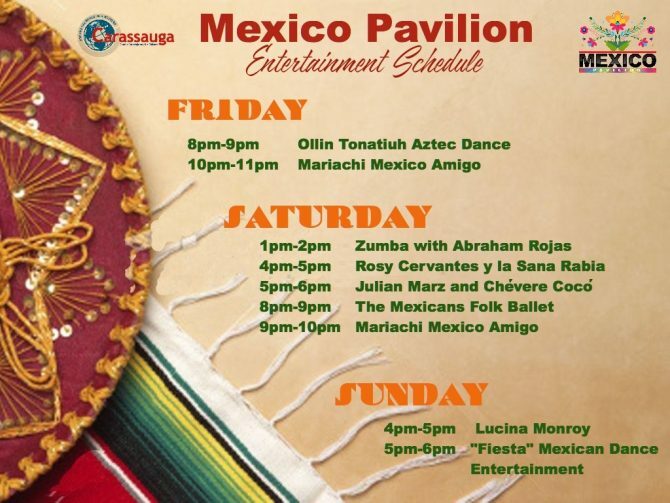 We’re honoured and delighted to be invited to play Carassauga Festival’s first ever Mexico Pavilion! Rosy will sing your favourite Mexican and Latin American folk songs and her own originals, accompanied by Richard on nylon string acoustic, with old friend and always very special guest George Vasiliou on bass. Free Shuttle Bus from Kipling Station stops at this pavilion. Rosy will play at 5:00 PM, not 4 as shown. Wednesday, August 8 — City Hall LIVE! We had a splendid time! Thanks to Alex, Jorge and everyone who made this possible! Check out this short video clip of Rosy singing Bésame Mucho!